Growth form: Perennial herb. Flowering. Feb–Sep. Status: Native. Rare. 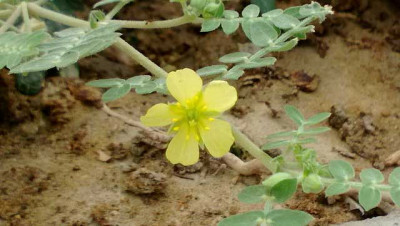 An Arabian endemic. Also recorded: E Saudi Arabia, UAE. Habitat & distribution: Shallow, fine textured soil and pebbly habitats (Batanouny). Uses: Mandaville states that it is a main camel grazing species in parts of the Rub’ Al Khali.